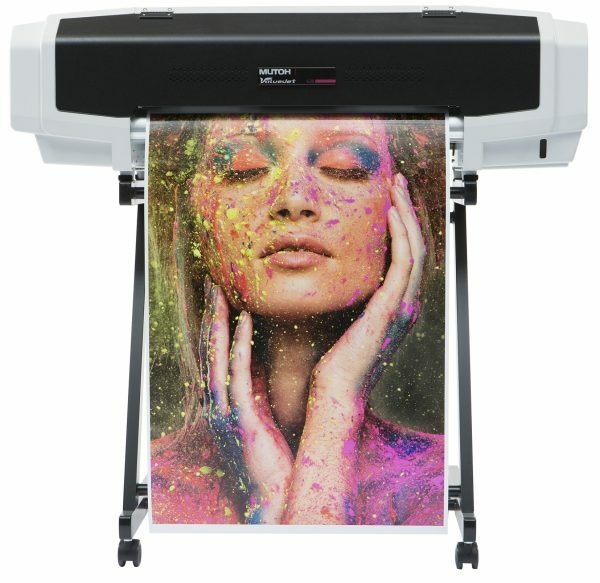 The VJ-628 is Mutoh’s smallest sign & display printer offering a great potential to startup businesses, small sign makers, department stores and quick print providers. Offering a media width of 630 mm (24”), the compact, user-friendly & cost-effective ValueJet 628 has been developed for a wide array of applications ranging from in-store printing, commercial print, signage and print-to-cut jobs. Equipped with a latest generation micro piezo print head, this 8 channel desktop printer delivers high quality prints for indoor & outdoor applications.The ValueJet 628 utilises Mutoh Eco Ultra inks, making it suitable for installation in any working environment. Mutoh’s innovative i² Intelligent Interweaving printing technology produces impeccable prints every time.